When Moxie and I first met we used to get a bottle of this plonk, a baguette and some cheese for a midnight snack. She used to work until late at night and this was our go-to bottle for the unwind and relax part of the evening. Priced at $9, this flashback was brought to the party by my friend Edvard. A good choice methinks because it brought back great memories of my early wine drinking career and the initial romance that Moxie and I started over 23 years ago. 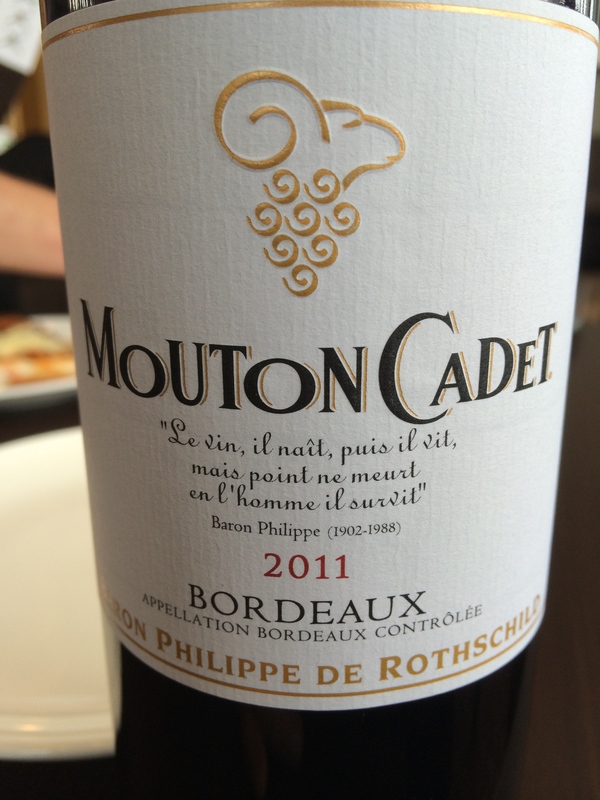 The wine is a bulk produced blend of Cabernet Sauvignon, Cabernet Franc and Merlot made by the Rothschild group. It is considered the premier bargain wine of the Bordeaux region, and for good reason. It came in at $9 and offered amazing value for money. I noted Merlot flavors with Cabernet backbone on my quick sheet. The broader notes include the black fruit and dark cherry components with some plum intermingled. Good juicy tannins and balanced acidity made this a pleasure to drink. The profile was very Bordeaux like and I could sense a certain terroir that was unmistakable. 90 points from me and 5 stars. Most of all- thanks for the memories, I will be buying this wine again. Salut…. Yes, I remember this as quite quaffable from the time I used to drink it in the early 2000s. Thanks for bringing back memories!